The Cayman men’s teams are Richard Campbell/Nathan Dack and Casey Santamaria/Jesse Parham and the female contenders are Marissa Harrison/Ileann Powery and Jessica Wolfenden/Stefania Gandolfi. “This tournament cannot happen without the support of the community and both the public and private sectors. We are grateful to companies like Dart who recognise the tourism and economic impact of an event such as this and choose to partner with us to execute a first-class competition,” said Kennedy McGowan, CIVF President. 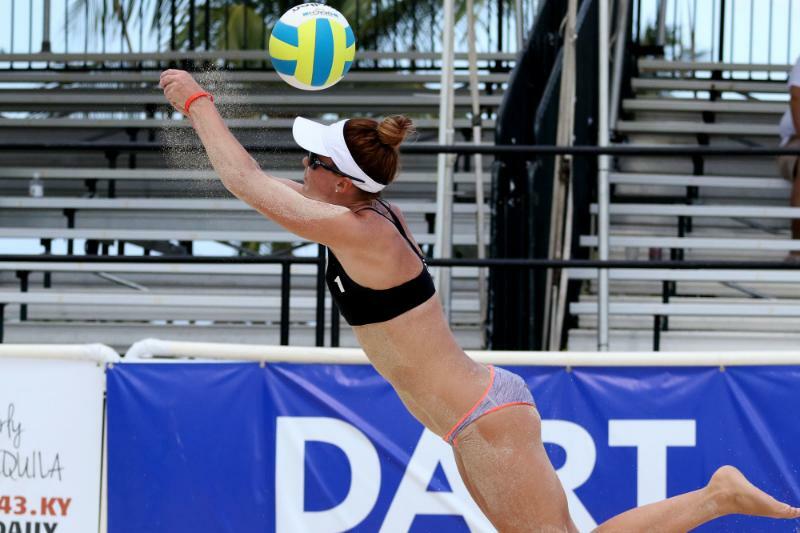 This will be Jessica Wolfenden’s 11th NORCECA tournament appearance. She finished fourth place in the 2016 Cayman NORCECA tournament; was the 2015 gold medallist at the NatWest Island Games in Jersey; the 2015 silver medallist at CAZOVA Olympic Qualifier in Jamaica and the 2013 silver medallist at the NatWest Island Games in Bermuda. She has also been selected for the Cayman Islands beach volleyball team that will travel to the 2019 Island Games in Gibraltar in July. Ileann Powery will be competing in her 7th NORCECA tournament this month. Powery, 21, has been playing volleyball since her days at George Hicks High School and was at one time the youngest member of the Cayman Islands Women’s Volleyball National Team. She transitioned to beach volleyball in 2013 and has represented Cayman at the World Championship Qualifiers, NatWest Island Games, Nanjing Youth Olympic Qualifiers, Pan American Games and Central American and Caribbean Games. She won her first NORCECA game in April 2017 against Trinidad & Tobago.